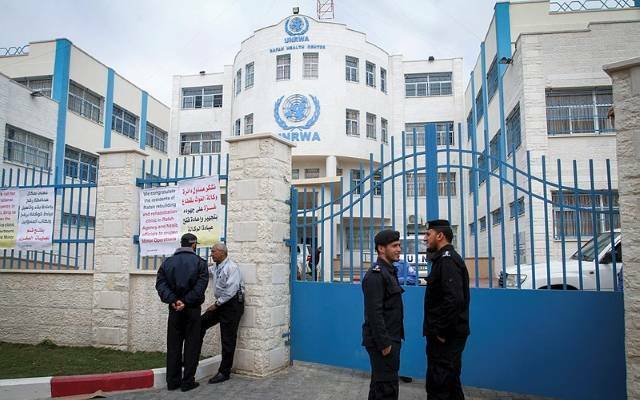 Occupied Jerusalem, ALRAY - Closing UNRWA's offices in occupied Jerusalem is to complete the U.S. government's plan to Judaize Jerusalem and drop Palestinian refugees just cause, Palestinian Ministry of Foreign Affairs stated Sunday. The ministry explained in a statement that Israeli occupation government exploits US bias towards Israeli colonial policies; it considers Trumps administration a chance to apply its colonial policies. The right-wing party seeks to resolve the issues of final solution negotiation in accordance with Israeli interests . It considers Israeli decision of closing UNRWA facilities, especially educational and health facilities, and suspending issuing license for them entails the risk of ethnic cleansing of Palestinians from Shu’fat refugee camp and expropriate the lands for establishing settlements. It stressed that Israeli occupation policies seeks to Judaize east Jerusalem on all levels , especially educational institutions in an attempt to impose the Israeli curriculum on Palestinian citizens. It explained that Israel draws a new plan to put hand on the old school of Qadisiya in Bab al-Sahira in the old town of Jerusalem, which serve 350 students, and diverting them for the purposes of Jewish settlement. Trump’s decision to recognize Jerusalem as a capital of Israel and moving US embassy to occupied Jerusalem constitutes a green light for right-wing party to Judaize the total city. The failure of the international community, particularly the Security Council, to implement the resolutions of international legitimacy regarding the Palestinian-Israeli conflict and to hold the occupying authorities accountable for their grave violations of international law, human rights principles and the Geneva Conventions encouraged the occupying authorities to begin the most dangerous step of eliminating Palestinian presence in Jerusalem. The ministry called on UNESCO, to shoulder their legal and moral responsibilities towards this dangerous plan and to take an immediate and serious action to implement their decisions on occupied Jerusalem and its educational, heritage and cultural institutions and places of worship.